I love the concept of Meat Free Mondays, it is a pity that the movement doesn’t get more press here in South Africa. As I’ve mentioned before S has been very happy to follow a ‘vegan diet’ and have been very active with grocery shopping and cooking. This Monday meal practically made itself after he picked up a packet of chicken style strips over the weekend. Add in the weeks leftover veggies and linguine and a tasty budget friendly dinner. 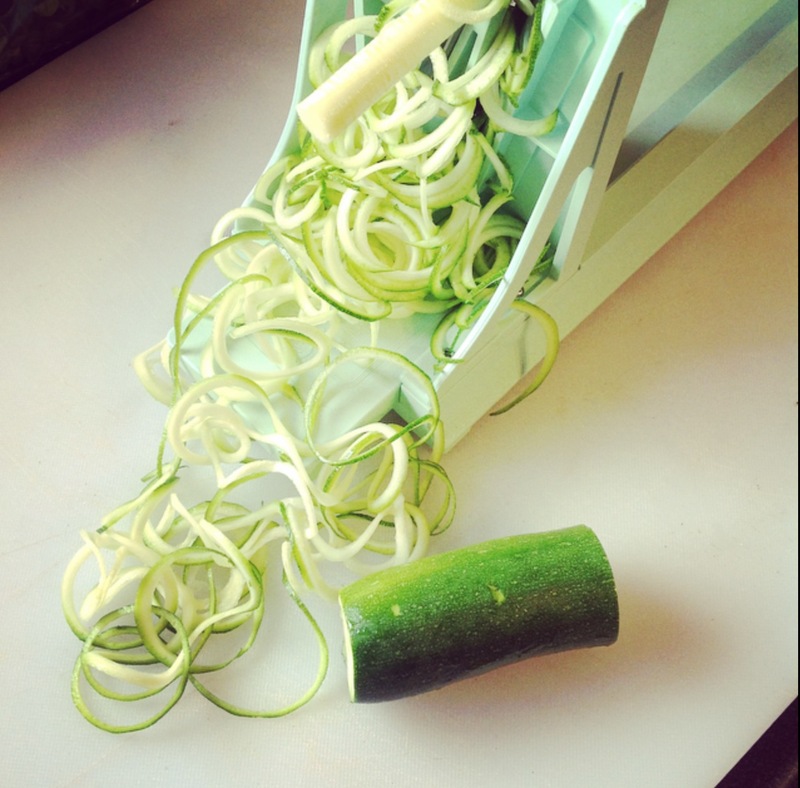 I don’t often bring out all my fun kitchen gadgets, so I decided to spiral cut the courgettes instead of the usual slice and dice. 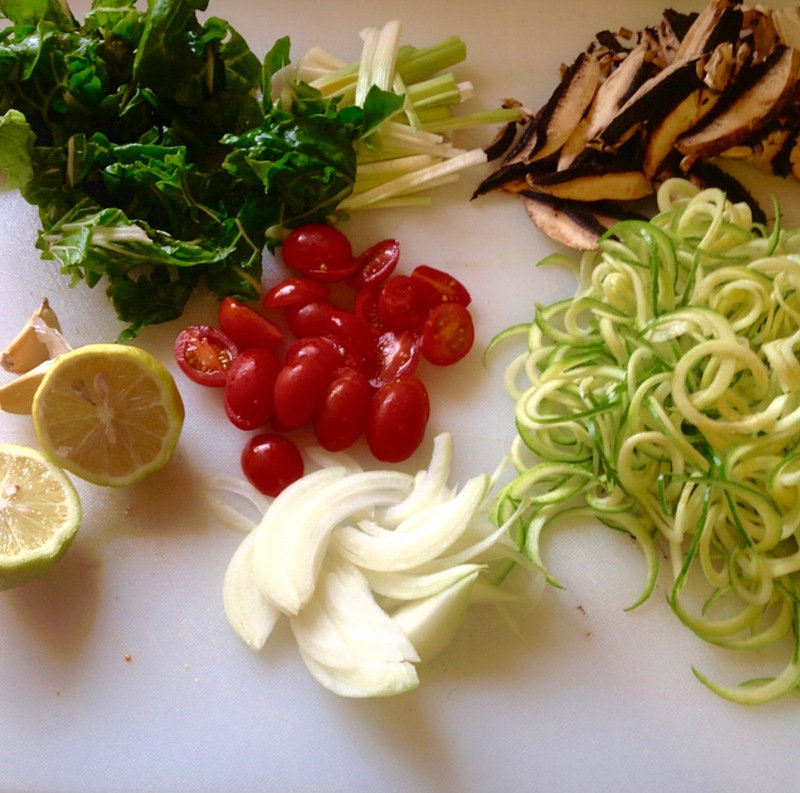 Preparing the courgettes like this is also a fantastic substitute for pasta if you’re eating gluten-free or Raw. Your choice of prepared pasta. I used linguine. 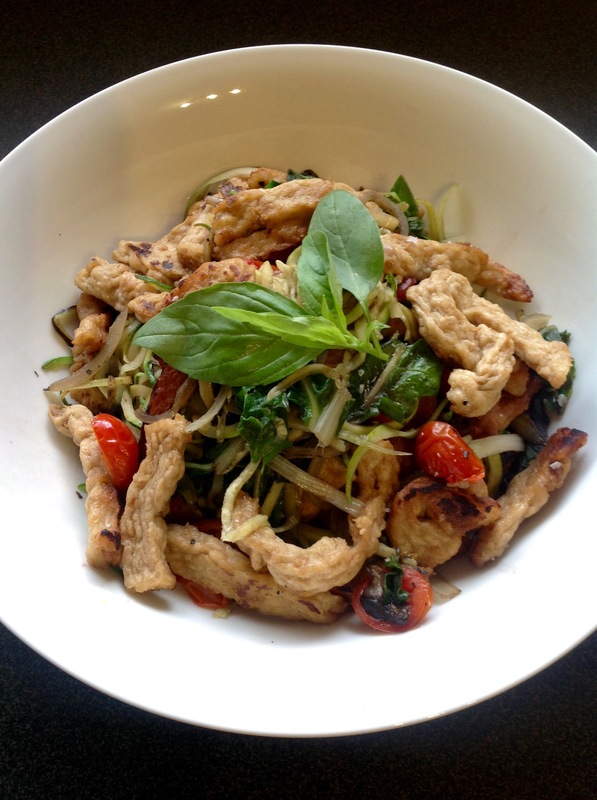 Dish up the pasta, divide the vegetables between the plates and garnish with fresh basil.